Wind energy is one of the fastest growing major sources of new electricity around the world. In 2016, Canada’s wind generation grew by 702 MW spread among 21 new wind energy projects. In 2015, Canada’s installed capacity surpassed the 10,000 MW threshold, establishing the industry’s position as a mainstream source of cost-competitive and reliable electricity supply. This year, six per cent of Canada’s electricity demand is being met by wind power, enough to power over three million homes. Wind energy is growing in more than 90 countries around the world at an average annual rate of 22 per cent a year because governments, citizens and electricity system operators alike have found a reliable, clean, and safe form of energy … and at a good price. The Canadian Hydropower Association, Canadian Solar Industries Association, Canadian Wind Energy Association and Marine Renewables Canada came together with Clean Energy Canada to establish the Canadian Council on Renewable Electricity. The Council engages in research, collaboration and communications initiatives to encourage dialogue for increased use of Canada’s abundant renewable electricity resources. Download a copy of Powering Climate Prosperity: Canada’s Renewable Electricity Advantage for the Councils recommendations on steps Canada must take to prevent average global temperatures from rising above two degrees Celsius. Find out how a wind turbine works by using the Harness the Power of Wind interactive image at the top of this page. Wind energy is part of a “balanced energy diet” and is making a growing and positive contribution to our energy supply mix. Studies have shown that when a utility diversifies its power portfolio with the addition of wind energy, it can meet demands more reliably. As more wind energy is added to the energy system the overall carbon dioxide emissions of the power grid will continue to drop. 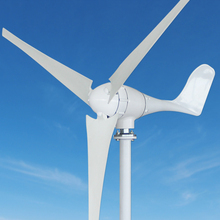 The blades typically start to turn when the wind speed reaches approximately13 km/h and shut down when the winds become too strong, usually around 90 km/h. That operating range means wind turbines produce electricity approximately 85 per cent of the time. How much they generate at any given point depends on the wind speed. Wind farms are designed to last 25 years or longer and modern turbines require very little maintenance. Wind energy is a highly flexible form of electricity, and easily complements other sources of electricity such as hydro, solar and natural gas. Studies have shown that when a utility diversifies its power portfolio with the addition of wind energy, it can meet demands without reducing reliability. As more wind energy is added to the energy system the overall air emissions of the power grid will continue to drop. According to the Independent Electricity System Operator (IESO), wind energy’s contribution to the Ontario electricity system continues to climb. At approximately five per cent of the province’s electricity demand, Ontario was the first jurisdiction in North America to eliminate coal as a source of electricity generation. Large amounts of wind energy are already being reliably and cost-effectively integrated with the electricity grid; utilities around the world continue to recognize the value wind energy can play within a larger interconnected electrical transmission system. State-of-the-art wind forecasting techniques allow utilities and grid operators to anticipate and plan for increases or decreases in wind energy output. With wind forecasting, changes in wind energy output are factored into grid operations much like variations in demand – both change over a matter of 30 minutes or even hours (not a matter of seconds, such as when fossil or nuclear plants trip unexpectedly off line, or a tree falls on a transmission). Wind energy is a natural partner with hydro, Canada’s heritage energy asset. The wind blows strongest in winter when water reservoirs are lowest; water reserves are often highest when wind resources are typically lower. Based on real world operational experience, most electrical grids can obtain at least 20 per cent of their total electricity from wind energy without having to make substantial changes to the existing electrical grid. In fact, in some jurisdictions such as Denmark, wind has at times supplied 100 per cent of the electricity needs of the country. UVIG’s Variable Generation Integration Library provides an overview and summary of wind integration studies from North America and around the world. Electric Utilities and Wind Power – A Good Mix Fact Sheet by the American Wind Energy Association.